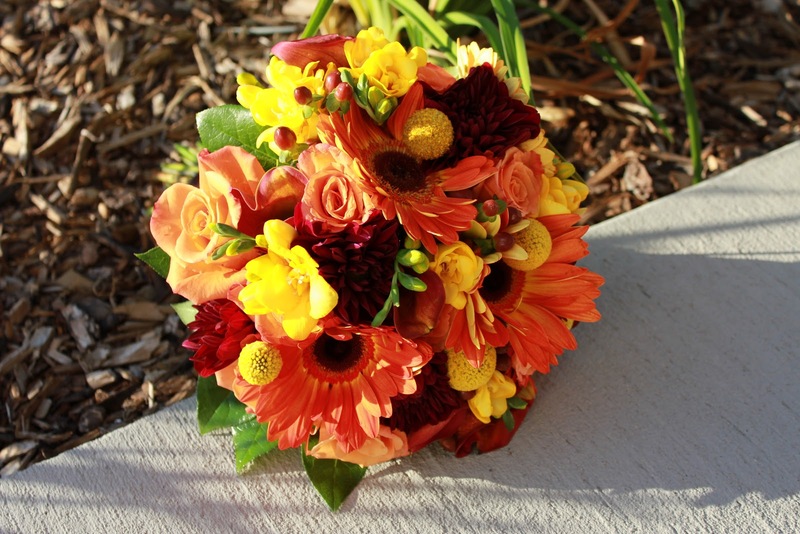 Here is a beautiful fall bouquet for Hailey and her Groom. 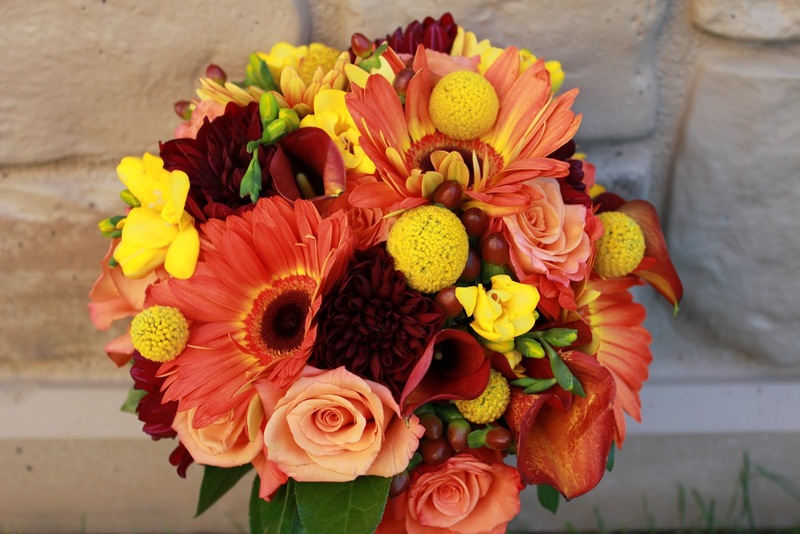 You can never go wrong with fall hues of red, yellow, burnt orange, and chocolate brown. As a florist, fall is always one of my favorite seasons for flowers. 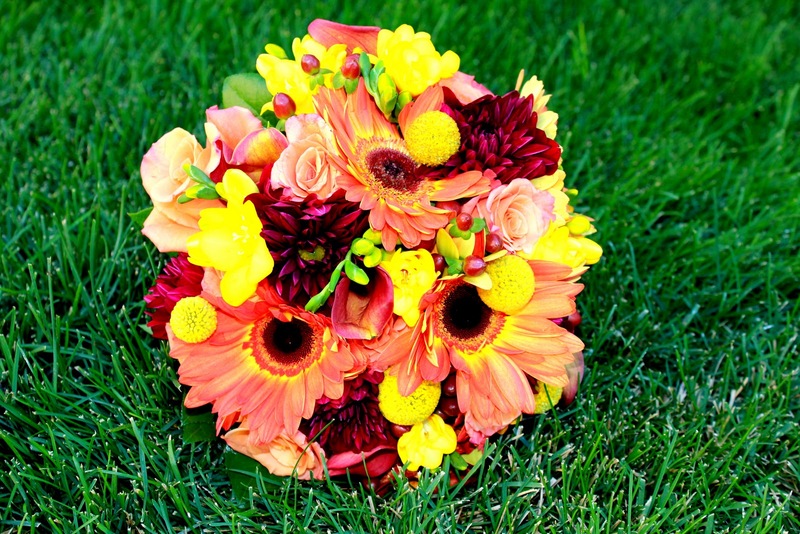 There are so many gorgeous colors, blooms, and foilage and I am glad I got the opportunity to express my love of this season with this gorgoues bouquet!